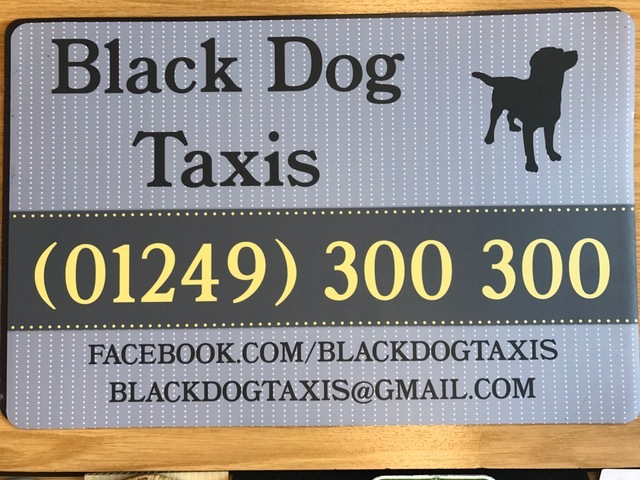 Ryan Buckley of Black Dog Taxis. 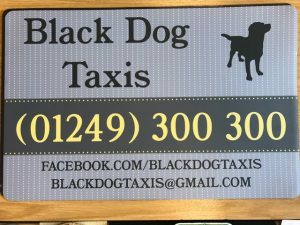 * Local door to door service in Calne and surrounding area. * Short and long distance journeys. * Fixed competitive prices given when you ring up and book. 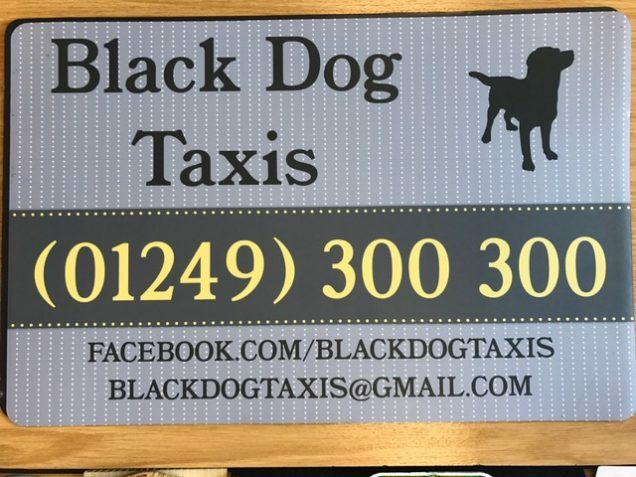 * Friendly, polite, experienced and careful drivers. * Major airports, ferry docks, train stations for drop offs and pick ups. * Flight tracking, meet and great at arrivals and will give assistance with luggage. * For long journeys we can provide child car seats if requested. * Large estate cars with plenty of room. All vehicles are kept clean and well maintained. All vehicles have contactless card payment facilities.